The Autumn Internationals have been and gone, and European rugby is in full flow. There were a few interesting themes that might play into the upcoming Super Rugby season, or certainly things to look out for. Kiwi Wobble? that’s right, it huge news when the ABs lose one game, and what a game it was in Chicago. I think it was more down to that Irish performance than the ABs being particularly poor on that day, but they certainly got their revenge. Nothing too much to note for the Kiwi players the big names performed as expected, and only a few things really stuck out. Anton Lienert-Brown could do nothing wrong. Everything he touched turned to gold, what a dream run of games. His ABs performance were a level above what he was doing for the chiefs. As someone who dropped him in the team a couple of times because I couldn’t afford Tamanivalu only to see him lay eggs, I was not expecting that. Julian Savea looked like he might be playing himself back in form, and scored a cracking try against the Aussies. I’m a big Jules fan, but he just hasn’t been the same player for 12+ months. I’ll be keeping an eye on preseason to see whether he returns to the points machine he can be. SA Collapse. Wow, just wow. I mean every week you think it couldn’t get much worse, and then BAM …. another terrible performance. Fantasy Super Rugby stalwarts were laying eggs left right and centre. Combrink, one of the players of the season frankly looked worse than me on the wing – couldn’t catch, couldn’t tackle, over ran moves – I mean I pioneered that 20 odd years ago. If ever you wanted the mental side of the game laid bare it was the Autumn series for the Boks. Whilst it’s overdue that they’re finally picking and starting many Lions, trying to bridge the gap of decades of SA rugby tradition, to get to the attacking, free flowing rugby the Lions have been playing was clearly too much, and they seemed to get stuck in limbo not really knowing what game to play. I for one am going to be very hesitant to start several Boks after that disaster of a tour, in case they bring that play with them. Whilst the Lions benefit this year from their Japan based players get back into camp early, you wonder how much the Autumn games will affect them and whether they can maintain the heights of last season. Slowly but surely the Aussies started to remember how to play their brand of rugby. Cheika seemed to take forever to work out his best team, but across the Autumn they started to click. After a disappointing season from many Aussie fantasy stalwarts, I’m upbeat about 2017, and the potential for Aussie players to contribute. Timani became really at home at 8 and you wonder whether he’ll translate that form for the Rebels and become one of the Elite forwards this season. Foley shows glimpses of his old best, and the whole back line started to grow in confidence, Hodge in particular looking at home on the big stage, unlike Kerevi who was a little wobbly. When the Aussies teams are at they’re best, their backs are the guys to have. If they can get some consistency this upcoming season then there could be some bargains to be had given last years under performance. Best of the rest.You will be missed sir, you will be missed. 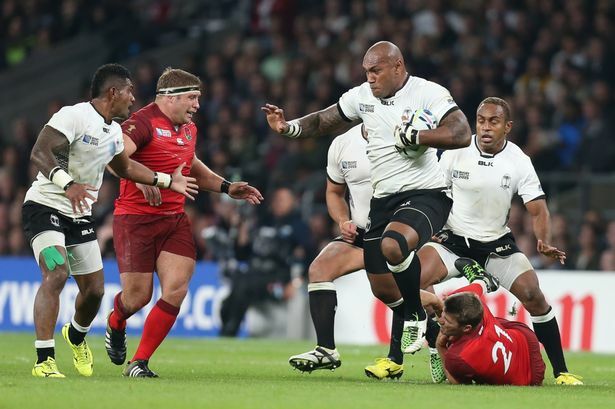 As Nadolo makes he was over to France to beast European teams for Montpelier, there will be a huge fantasy void to fill. Argentina largely continued to disappoint, much like the Jags. Hardly surprising given the similarity in teams. However, there was one shining light for the pumas – Facundo Isa. He was simply irresistible across the Autumn, busting tackles, offloading, and popping up everywhere. If he can translate even half that form into 2017 he’ll be a must. If the Jags continue to throw it around like the Pumas did then there’s fantasy points to be had, if you can put up with the inconsistency in performance.